Could George Groves have beaten Chris Eubank Senior? 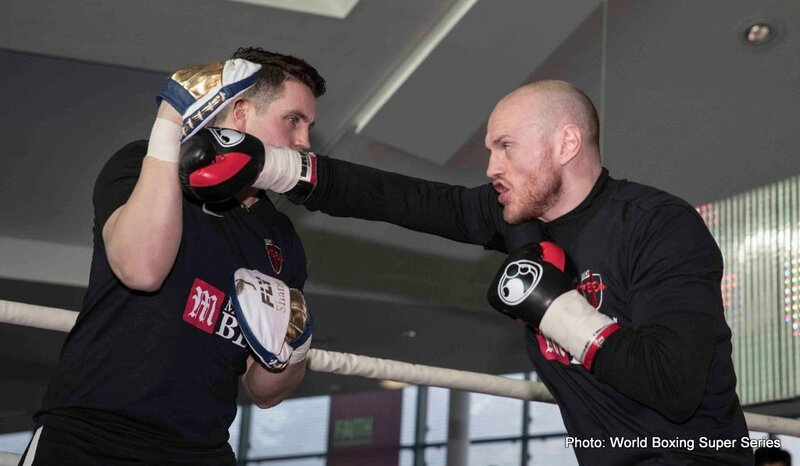 It’s far from certain that George Groves will defeat Chris Eubank Junior in tomorrow night’s fascinating, 50/50 showdown that will see the winner both emerge as the WBA 168 pound champion (Groves currently the holder of the belt) and as a finalist in the WBSS tournament. Fans, here in the UK especially, are about as split down the middles as could be imagined; with any good case for a Groves win being matched by an equally good and convincing argument that Eubank Jr. will get the win. Both men are in fantastic physical condition and both warriors are predicting a stoppage win. But Groves, in a little bit of verbal warfare (these two have certainly employed plenty of this, trading insults since the fight was first announced) told his challenger how he will beat him tomorrow night in Manchester and that he would have beaten Eubank’s father, the former 160 and 168 pound star of British boxing. Put it this way, Groves against the Eubank who defeated Nigel Benn would have made one helluva interesting fight (even though Eubank was a middleweight back then; as is his son come to that, in terms of his natural fighting size anyway). But Eubank Jr. looks to have trained very hard for this, the biggest fight of his career. If he doesn’t give rounds away by doing too much posturing (and Junior has been guilty of this in previous fights) Eubank might just win enough rounds to get the points win tomorrow night. Who has gotten under the other fighter’s skin the most, Groves or Eubank? Are the Eubanks relying on Groves fighting “emotionally” in this one? An incredibly hard to pick fight is just hours away. Might we even get a modern day classic tomorrow? Prediction: Groves retains his title and advances to the WBSS final by way of a very tough 12 round points win. You are here: Home / Boxing News / Could George Groves have beaten Chris Eubank Senior?